-#1: Members wanting to join but never participates: I understand that people have real life issues but a quick message wouldn't hurt. -#2: Members wanting to do events but don't play once they begin. -#3: No communication: I can't run the team solo. I mean you can all tell me if things are dying. No one ever talked to me and said "hey shadow what can we do to get this team rolling again?" If you all would have talked to me I would have eagerly taken your suggestions to heart. I guess it was all my fault then. I'm sorry for being a stupid leader and wasting everyone's time. I know now not to make a team and continue to be worthless to others. You all will probably never hear from me again. I did have fun when people were here but I guess I was the only one who felt that way. We even won a war against an undefeated team and I wanted to do more wars once we got more members but it doesn't matter now. I apologize again for being a burden and being useless. Note: I will keep this up for this week until saturday then I will delete this forum and the DNF fun squad team. I for one would want to keep this alive, but like you said, there's a lack of communication. 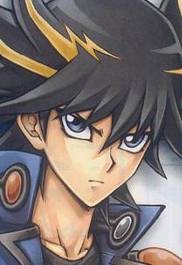 I also have just been lacking enthusiam for yugioh recently and have been taking somewhat of a break, and no one ever seemed to be on when I was. "You all will probably never hear from me again. I did have fun when people were here but I guess I was the only one who felt that way." <-- Nope, I had fun. "We even won a war against an undefeated team and I wanted to do more wars once we got more members but it doesn't matter now." <---I still never got to duel in a war. "I apologize again for being a burden and being useless." <--Wait, you were the one who was the least of a burden. You particpated in events most frequently, and attempted to keep the squad alive at least once before. Not sure if you'll read this, but I guess this is goodbye.